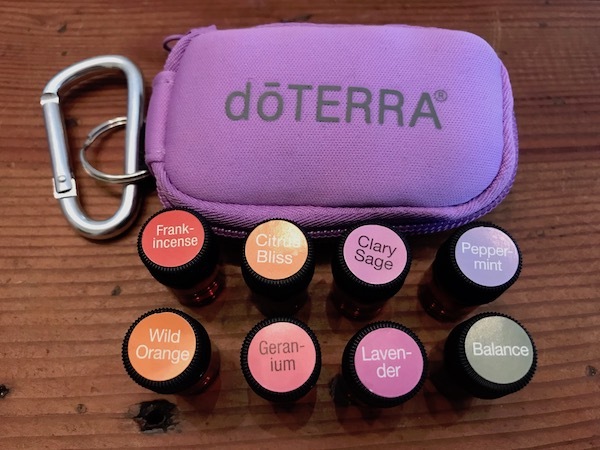 An easy-to-pack birthing kit of 2 ml sample sizes Doterra essential oils. An essential kit of 2ml sample sizes Doterra essential oils to help you at your birth. Conveniently packaged in this easy-to-pack keychain, you will have 8 of the most useful essential oils for labour and birth with you right when you need it. Lavender – calms, post labour, relax, regenerative. Geranium – calms, soothes, bruises, post labour, relaxing, antibacterial, anti-inflammatory.